A bridge between Europe and Asia and an intersection between east and west in culture and trade, the capital city of three great empires (Roman, Byzantine and Ottoman), Istanbul has been the focus of world history for more than 2,000 years. 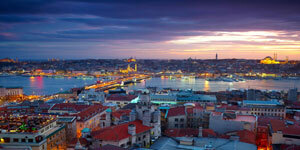 Istanbul is a frenetic city with a wealth of culture, history and nightlift. Split in two by the Bosphorus Strait, it is the only city in the world to straddle two continents, Europe and Asia, and thus has two contrasting atmospheres. These itineraries are designed to give you a flavour of the city as a whole. All the sights are cross referenced to the rest of the guide, so you can look up more information and tailor the day to suit your needs. 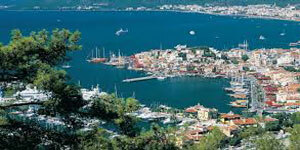 Price guides include meals, transport and admission fees. 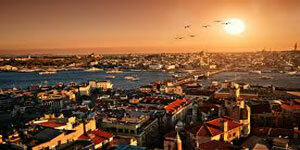 Istanbul is considered to be Europe's most populous city. 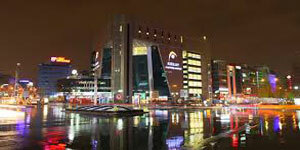 It also acts as Turkey's major cultural and financial trading center. The city itself is located on the Bosphorus Strait, encompassing the natural harbor of the Golden Horn to the northwest of the country. Perhaps the most prominent aspect about Istanbul is that the city extends both on the European side known as Thrace and on the Asian side known as Anatolia side of the Bosphorus and therefore is the only metropolis around the globe which sits on two continents. 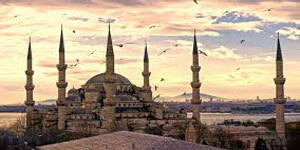 Over the centuries, Istanbul has been served by various major ancient civilisations. It was used as the capital city during the Roman Empire (330-395), the Byzantine Empire (395-1204 and 1261-1453), the Latin Empire (1204-1261), and lastly the Ottoman Empire (1453-1922). The city is an enchanting blend of the past and the present, the old and the new,and of all that is traditional and all that is contemporary. 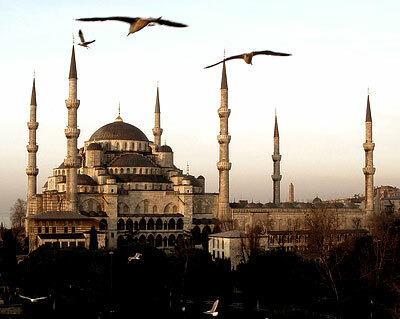 With shores that get prettier at each visit, decorated with bright green woods, parks, bridges that dangle like necklaces, palaces, wooden yali houses, mosques, churches and plenty more architectural treasures, Istanbul is a spell binding city that takes years to fully discover. Today's Istanbul takes its place as one of the world's great cities. It is home on the one hand to historical treasures and on the other to a modern contemporary culture. Because of its excellent transport and communications, international congress centres, wide ranging accommodation facilities with the latest technology, it is one of the busiest centres for congress travel offering professional support solutions for conferences of all sizes. At the same time, Istanbul offers shopping opportunities, restaurants, night clubs, cabarets, entertainment spots, various music and cinema festivals, competitions, theatre, opera, ballet and concert events that make it a world class art and cultural centre. 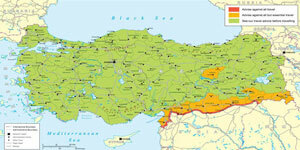 By Road : There are connections from Istanbul to everywhere in the country. 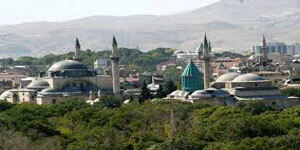 The city's international bus stations are at Harem on the Anatolian side and Esenler on the European side. 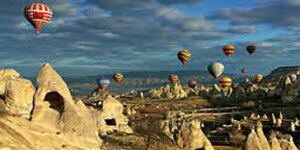 By Air : The International Ataturk Airport is 20 km from the city centre. 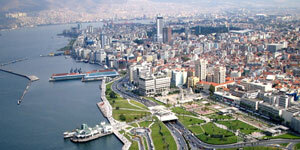 Sabiha Gokcen International Airport located on the Anatolian side is at a distance of 50 km to Taksim. There are flights to many countries. By Rail : There are connections to European capitals, Ankara, Izmir and Eastern Anatolia. By Sea : There are connections to European and Mediterranean ports. The summer months are generally hot, the winter months because of the local climatic conditions are generally not too cold. 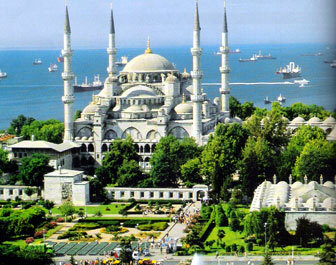 Istanbul has some elements of the Mediterranean climate but is also influenced by the Marmara Sea and the Istanbul Strait. Average yearly temperature is 14 degrees Celsius. And every type of sport can be enjoyed. 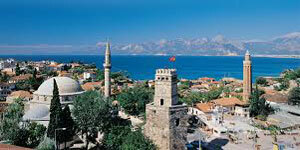 Istanbul cuisine is largely based on combining lamb, mutton or beef with a selection of vegetables. Also widely served are : Pilaf, types of borek (pastry), cracked wheat, dry beans, and vegetables in rich olive oil. Meatballs and sis kebab, doner kebab or spicy, yoghurt, aubergine and other specialist kebabs are widely avaiable in small restaurants. Tarts, baklava, kadayif and similar wonderful desserts can be found in small shops, which have often been passed down through the generations. Raki (anise-flavored alcoholic beverage) and ayran (yoghurt mixed with water and salt) are the two most famous Turkish drinks. And in the quarters of Taksim-Nisantasi-Sisli there are, in streets like Istiklal, Cumhuriyet and Rumeli, high class boutiques and flea markets. At the heart of legendary Istanbul, the Lutfi Kirdar International Convention and Exhibition Centre (ICEC) is Turkey's largest convention and exhibition centre. It has all the equipment, professional administration and well educated staff required for anthing from a meeting of 10 people to a conference of 30,000 people to pass successfully and comfortably. Suitable for all meetings and production needs it boasts an auditorium equipped with the most modern technology, smaller individual meeting rooms, and a foyer suitable for the exhibition of products and services. Inside the Convention Centre the Rumeli Fair and Exhibition Hall comprises the ground and lower floors and is an ideal space for international congresses, trade fairs, seminars, wedding celebrations and film galas. Possibly to divide the area with soundproof separators, simultaneous translation into 12 languages, OHPs, TV monitors, projection screens, video recorders, PA system, CD players, tape play-recording system, lectern, stage, microphones, portable stages, computer screen-projection, barkovision system, video cameras, laser pointers, film displays, flip charts, electronic voting system and all the relevant latest equipment. Also equipped with service areas, a first aid room, Borsa Catering - a 5 star catering service for up to 7,000 people, 140 person capacity restaurant (450 person capacity when the summer terrace is open) and multilevel carpark. Part of the World Trade Centre, CNR Expo is Eurasia's largest exhibition centre attracting hundreds of local and foreign exhibitors and visitors every year. It is especially used for economic exhibitions and events. CNR Expo has an overall space of 250,000 square metres of which 150,000 square metres is covered and 120,000 square metres uncovered. It also has 8 halls meeting international standards for meeting-seminars, exhibitions, banquets, cocktails and coffee breaks. The halls can be arranged in sizes from 100 square metres to 40,000 square metres by utilising telescopic dividing walls. 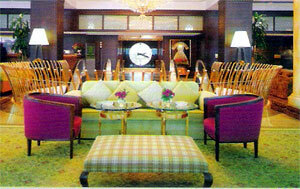 Furthermore there are a total of 10 permanent meeting rooms that can be used for groups of between 15 and 550 people. CNR Expo, which hosts 65 fairs a year, offers large scale opportunities for conferences, concerts , presentations and congresses. Press Office, VIP lounge, office and service units, stand construction services, every type of technology and system support, visual communications equipment, computer, internet connection, fax, telephone, ventilation, catering service, restaurant, bar, cafe, car hire service, accommodation (5 star), 7500 vehicle capacity (1 indoor 2 open air), electronic car park system, CCTV controlled private security system. One of Turkey's best concert halls built to international standards, CRR meets every technological requirement for congresses. As well as the fabulous acoustics, the main advantages of the concert hall are its portable structure system, electronic sound repercussion system, 16/35 mm projection system, computer controlled 180 channel light system, live television and radio broadcasts including recording infrastructure, simultaneous translation in more than 6 languages, recording in 4 languages, electronic voting system. On the banks of the Golden Horn and surrounded by greenery, Feshane is an historic building covering an area of 56,000 square metres. It is suitable for every sort of international fair, organisation, meeting, seminar, concert, gala, party, exhibition and cultural event. Set in an area of 12,000 square metres, Tuyap Beylikduzu Fair and Congress Centre is one of Turkey's largest fair and congress centres with an indoor area of 60,000 square metres and an open air exhibition area of 60,000 square metres. The indoor facilities, totalling 28,000 square metres, consist of 7 large exhibition halls, with a further 8,000 square metres available in the congress and services building. There are 15 multi functional halls that can accommodate anything from 100 to 10,000 persons. 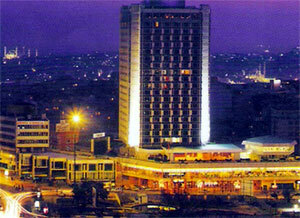 Every type of technical infrastructure can be provided, including water, electric, ventilation system, world quality telephone, fax and internet communications, fully air-conditioned ideal working environment, service building, 3,500 vehicle open air car park, 300 vehicle private car park for exhibitors, 25 truck parks, provision of different cuisines in 5 separate restaurants, scheduled transport solutions from various points, private security and control system, English, Turkish and German secretarial services, hostess services, helicopter landing pad, petrol station, staff canteen, tourism information and travel bureau, courier service, photograph and video services and equipment sales. 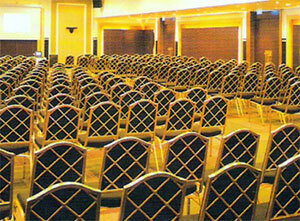 There are private meeting rooms, a main hall with a capacity of up to 2010 people, cinema and theatre halls. Amongst the technical equipment and facilities available are : conference halls for company meetings and workshops, presentation stand, sound system, video conference system, wireless internet, simultaneous translation system, delegate and conference system, image projection and CD/DVD recording. In the main hall suitable for international shows there is a multi-functional 250 square metres stage for musicals, conferences, live broadcasts, tv games and private tv shoots, on the stage there is a 8 m diameter 1m raisable 50 square metres revolving platform, superb technical equipment and simultaneous translation booths, 12 cameras for live broadcast, a vehicle lift for use in vehicle promotions and private shows, and on the stage, for sponsors, advertisements, film galas, projections and organisers, a giant 35 mm cinema projection screen. In the main foyer there are 3 permanent bars, wireless internet connection, and aimed at the needs of sponsors and advertisers so that they can comfortably display their products the inside column, backlit display cases and plasma screens.